Washington State boasts one of the most protective constitutions in the nation. Among its unique provisions, the Uniformity Clause protects individuals from discriminatory taxation by requiring that any taxes be imposed in a uniform manner. In addition to that, the state legislature, long ago, passed a law forbidding cities and counties from taxing income. But as we all know, laws are only as strong as the courts are willing to enforce them. Which brings us back to Seattle’s cynical attempt to levy an unconstitutional income tax on so called “high earners” (in fact, anyone can qualify as a “high earner” upon the sale of a home, business, etc.). On at least seven occasions, the State Supreme Court has upheld this provision’s application of income taxes, concluding that uniformity is “highest and most important of all requirements applicable to taxation under our system.” Belas v. Kiga (1998). Thus, the last time the government challenged the uniformity requirement, the Supreme Court stated that, if the government wants to argue for a change in our constitutional system, then the proper venue is through the legislature, not the courts. 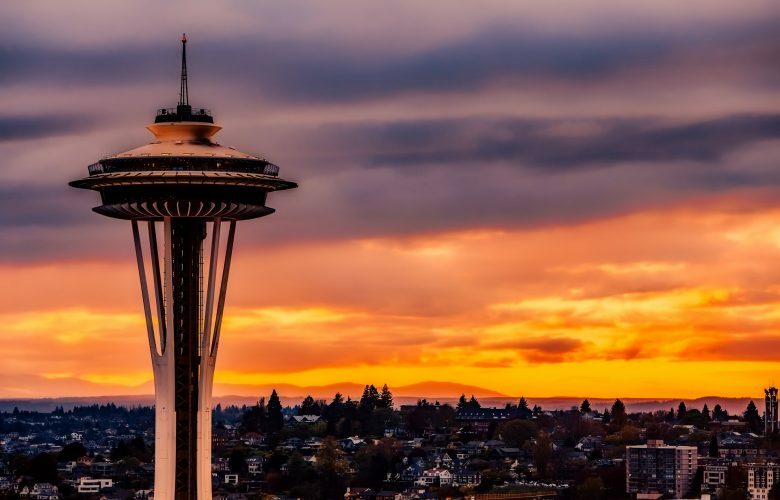 Seattle is hoping that the Supreme Court will overlook that plain direction and give it an eighth bite at the tax apple. Late last year, the city filed a petition asking the Supreme Court to take the unusual step of bypassing the appellate courts to directly review the trial court decision declaring the tax unlawful. The city’s brief rests on the claim that the Supreme Court wrongly concluded that a person has a property interest in his wages in the 1933 case, Culliton v. Chase. And because of that, the court has mistakenly treated income as property ever since. Last Friday, PLF filed a response brief on behalf of our clients, Scott Shock, Sally Oljar, Steve Davies, and John Palmer, refuting the city’s argument. The PLF brief points out that Washington courts had decided that individual income is property decades before Culliton. Thus, by the time the Court considered Culliton, it was well-settled law that each person had a property interest in their earning. PLF further argues that the Supreme Court cannot grant the relief sought by Seattle. The courts are established to protect rights, not second-guess them. A court’s power does not include the ability “to eliminate or change established property rights.” Stop the Beach Renourishment v. Fla. Dep’t of Envtl. Prot. (2010). “If a legislature or a court declares that what was once an established right of private property no longer exists, it has taken that property, no less than if the State had physically appropriated it or destroyed its value by regulation.” So the only avenue for Seattle to enact a new tax must go through the legislative branch (which has rejected calls for local income taxes on numerous occasions). The City’s “high-income” classification fails to advance the various public interests served by the tax ordinance. In fact, the only justification provided in the City’s motion for summary judgment—that the tax targets only those most capable of paying for the City’s affordability crisis—cannot stand up to any degree of scrutiny. Indeed, the City’s classification relies on the central fallacy that “income” equates “wealth.” It does not. Many closely held companies, like mom-n-pop restaurants, contractors, etc., may generate large amounts of gross income, but, after the costs of doing business are deducted, the owners often take home only a modest amount. Others may work their entire career with the goal of funding their retirement through a sale of a business or other property—such one-time occurrences do not make a person any more “wealthy” than a neighbor who tucked away money for retirement. In reality, great variations exist within a class based only on “total income” alone. We are hopeful that Washington’s Supreme Court will see past the city’s attempt to circumvent the lawful way of effecting change to state tax policy and uphold the trial court’s decision. We expect a decision whether the Court will take direct review of the case later this year.